South Africa 5-266 (Quinton de Kock 112, Hashim Amla 46, AB de Villiers 30, Mohammad Hafeez 2-34) beat Pakistan 238 (Misbah-ul-Haq 65, Sohaib Maqsood 56, Dale Steyn 5-25) by 28 runs. 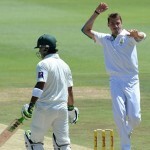 Dale Steyn produced his career’s best spell against Pakistan when he demolished their batting and South Africa grasped the game smoothly at Abu Dhabi. The Proteas smashed 266 runs for the loss of just five wickets in 50 overs and the innings of the Green Shirts was squeezed for 238. 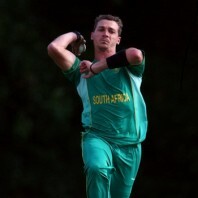 Dale Steyn (South Africa) was declared ‘Player of the match’ for his lethal bowling spell. The fourth One Day International of the five match series was played on Friday, November 8, 2013, at Sheikh Zayed Stadium, Abu Dhabi. Earlier, AB de Villiers won the toss for the Proteas and sent in Quinton de Kock along with Hashim Amla to open the innings. The first was dropped at two by Mohammad Hafeez and his partner was doing well at the other end. The partnership was broken at 87 in 18.1 overs when Hashim Amla was clean bowled by Mohammad Hafeez for 46. Quinton de Kock continued progressing and attained his fifty while AB de Villiers joined in with him at 2-129. They kept on enhancing the score and the first powered his maiden ODI century with a grand six. AB de Villiers contributed 30 and de Kock was finally dismissed for 112. 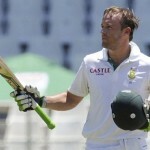 Jean-Paul Duminy and Ryan McLaren remained unbeaten for 25 and 28 as South Africa amassed 5-266. Mohammad Hafeez and Junaid Khan were the top wicket takers with two each whereas Mohammad Irfan got one. Ahmed Shehzad and Mohammad Hafeez started the chase for the Green Shirts in a slow manner but picked up the run rate in the coming overs. They took the score to 74 in 18.5 overs when Ahmed Shehzad was unluckily run out for 43 and Mohammad Hafeez became the next victim after scoring 33. The home side was in trouble at 3-86 in 21.1 overs when Misbah-ul-Haq got together with the debutant, Sohaib Maqsood. The latter was the most aggressive of the two and attained his first ODI fifty on the 49th delivery. The score was enhanced to 174 when Sohaib Maqsood was gone for 56. Misbah-ul-Haq was the next to reach his fifty as the required run rate kept on creeping. He became the seventh victim at 230 for 65 as the home side managed 236 runs in 49.2 overs. Dale Steyn was the star of the day with five wickets whereas Lonwabo Tsotsobe, Imran Tahir and Ryan McLaren shared one wicket each. South Africa won the fourth ODI by a good margin of 29 runs and leads the series 3-1.